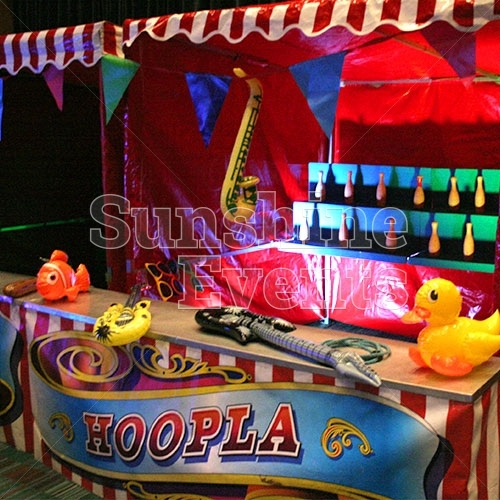 So popular that they feature in our Top 3 of all time popular Fun Day products, the side stalls have become a staple at events and there is obvious reason as to why these traditional funfair games are such a big hit. 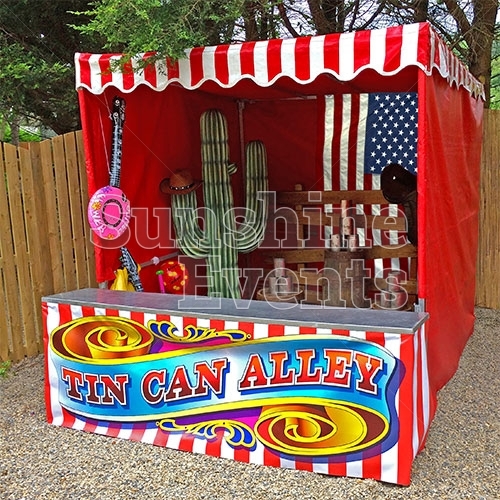 Offering a range of classic game choices including Coconut Shy, Tin Can Alley and Cork Shoot, the funfair stalls provide pure entertainment in the form of (highly addictive) challenges. With a prize on the line, you'll see guests come back again and again trying to win that novelty prize. 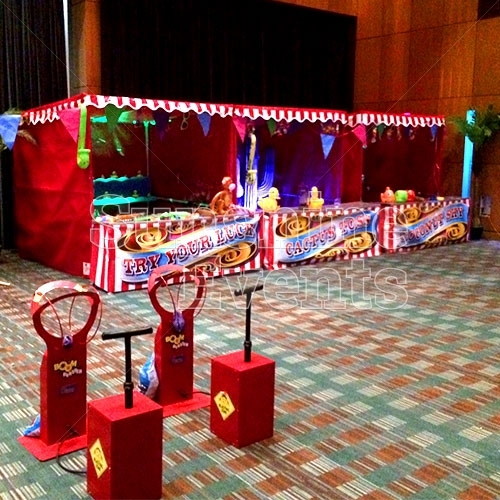 For all ages, young and old alike, the pleasure of the stalls is infectious and what's even better is that they're available to hire for all event types. You're getting married in April, perfect... the Hook A Duck and Ball In A Bucket would be perfect to entertain your guests. 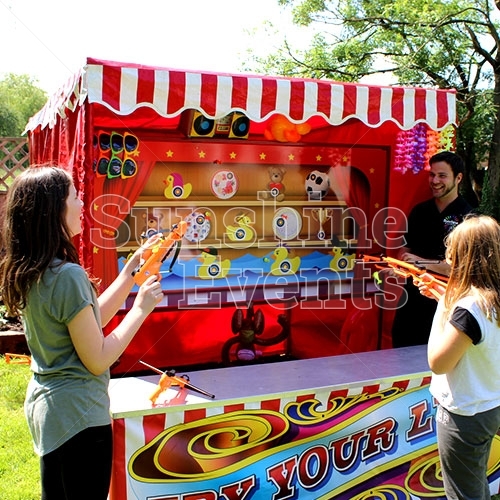 Need to raise morale amongst your workforce, the competitiveness of games such as the Funfair Target Stall are ideal for employees to compete against each other. The sun is shining in July, you have hundreds, even thousands of guests attending your fun day... not a problem, with over 15 stalls available to hire, you can be sure everyone enjoys the fun of the fair. And then there is Christmas: many of our stalls have been given a festive touch with Hook A Duck and Hoopla getting a makeover. Indoors or outdoors; it doesn't matter! The size of the stalls mean we can place them anywhere we can get to and can still be played in all weather conditions... though we do prefer outside in the sunshine! Housed within a traditional red and white striped fabric, the stalls are instantly recognisable and are known to everyone what fun they hold. They're even perfect for housing something else: putting on cake sale, need somewhere to serve drinks from, the stalls are perfect for adding shelter and adding another feature for your event. It doesn't always have to be about whats new or what people haven't experienced before. 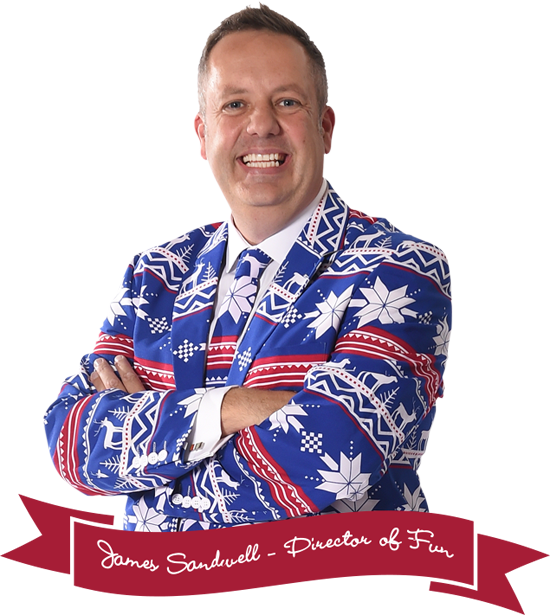 Sometimes it's the classic options that keep us smiling and make for a fantastic, happy environment. You can see our full selection of Side Stalls right here. 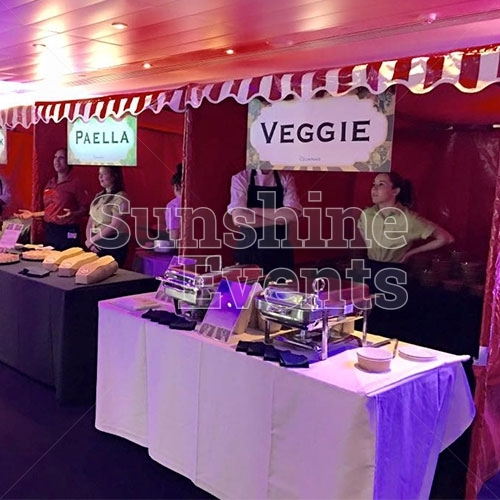 If you want to add this fantastic ingredient to your event, call our Fun Experts® today and invite Sunshine Events to your upcoming event. Photo Booth or Magic Mirror - what's the difference & which should I choose? We say Batak, you say Chase the Light!